No, that's not a mutant. 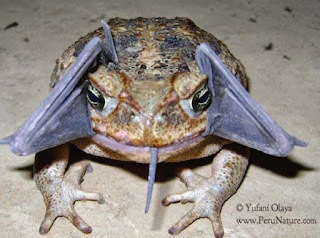 It's a cane toad that has just attempted to swallow a bat. What appear to be purple appendages on either side of the toad's mouth are actually the bat's wings. What appears to be a tongue is the bat's tail. Luckily for the bat, he made an unpalatable dish: the toad spat him out, he picked himself up, brushed himself off, then flew away. You can read the whole story, "Alien-Like Creature Actually a Toad with a Big Appetite" by Pete Thomas, at the website GrindTV (Sept. 23, 2013), here. Two-Front Page Photos in Two Days! Five Star creator Larry Blake was on the front page of The Athens News yesterday. Well, today Terence Hanley matched him with a front-page photo on The Athens Messenger! The article is called "Ratha Con: Twice the Faces Seen at Year Two," and the writer and photographer on the story is Arian Smedley, who interviewed Terence and featured him in her article. Larry Blake and Gary Gibeaut are in the background of the photo. 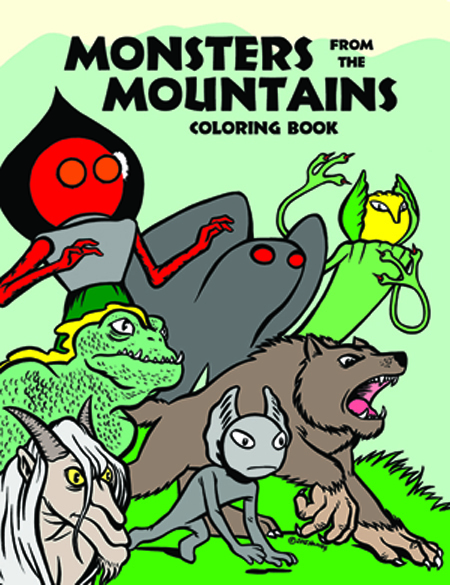 In the foreground are Terence Hanley and the Flatwoods Monster (but we're not sure which is which). The web version of Ms. Smedley's article is called "Ratha Con Doubles Attendance in Its Second Year." You can read it by clicking here. Larry Blake: Front Page News! On Saturday, Larry Blake was at the second Ratha Con, Athens' annual pop-culture convention, and his appearance landed him on the front page of today's Athens News. The convention took place this weekend, on May 11, 2013, in the gymnasium at the Athens Community Center. 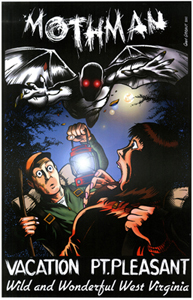 As always, Larry had his original art and hand-colored prints available for purchase. In the front-page photo of The Athens News, Larry is surrounded by some of his work, including drawings of The Ramones, The Runaways, and Gene Simmons of KISS. Larry also had drawings of everyone's favorite superheroes and TV stars. The photo was taken by Kate Munsch, and the accompanying article, "For One Day, Aliens, Trolls, Zombies Take Over A-Town," is by Cotrell Loftin. (The headline on the front page and on the web version of the article is "Ratha Con Suspends Local Space-Time Continuum.") You can see Larry's picture and read about the convention by clicking here. Five Star Comics at Tri-Con! The Five Star Gang will be at the Tri-State Comic Convention, otherwise known as Tri-Con, this weekend, Saturday, April 6, 2013, at the Big Sandy Superstore Arena in Huntington, West Virginia. Look for us at Table #15, next to the Dalek and TARDIS. 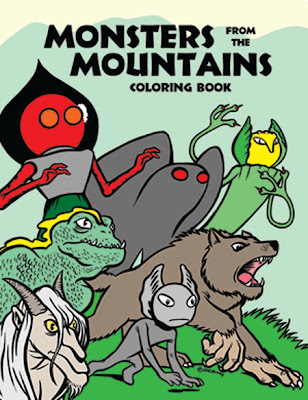 Larry Blake will have original art and his own books for sale, Gary Gibeaut will have Mothman posters and postcards, and Terence Hanley will have his monsters and aliens coloring books for sale. In addition, you can buy the first two issues of Five Star Comics. We hope to see you there. 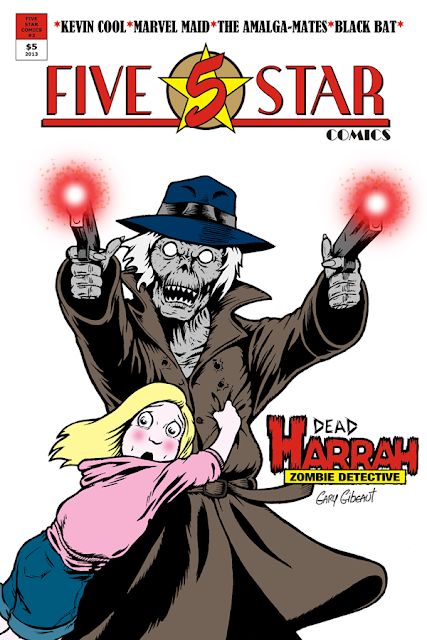 Five Star Comics #3 will be available soon, we hope by the time of the Small Press and Alternative Comics Expo (S.P.A.C.E. ), which takes place on April 13 and 14, 2013, in Columbus, Ohio. Keep your eyes peeled for it. The Five Star Comics main title design is by Seth Boring. 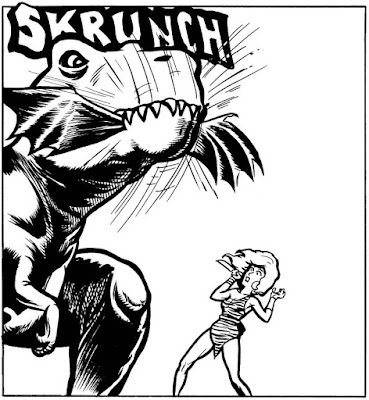 Photoshop effects on Gary's Dead Harrah story are by Jason Roush. The Five Star Comics logo is a trademark of Five Star Comics. 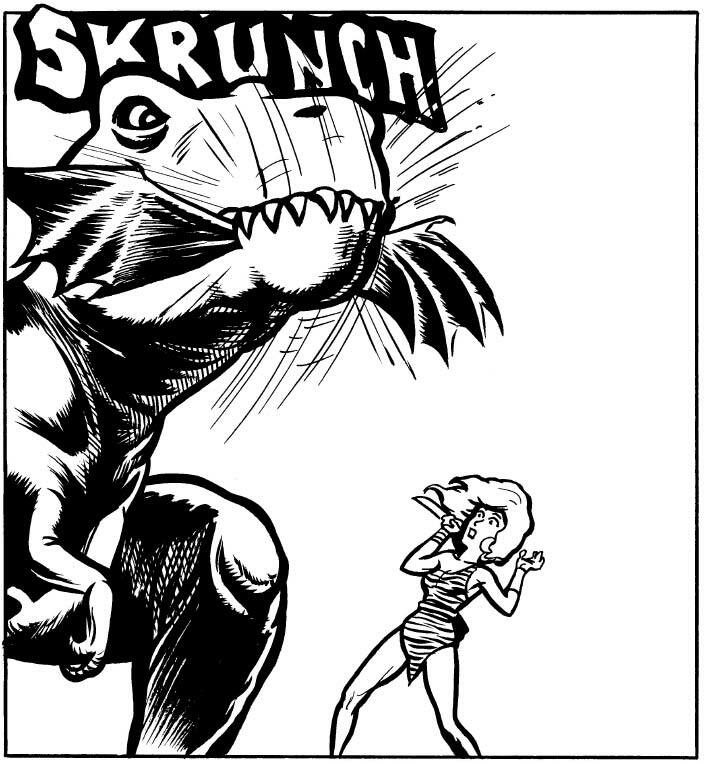 Small Press and Alternative Comics Expo-S.P.A.C.E. The writing and art [on issue #2] aren't uniformly as satisfying as they could be, but the overall effect is an entertaining, pleasant reading experience. This small-press title is a good one, and promises more entertainment to come in #3. We'll keep working towards a uniformly satisfying reading experience. And speaking of Five Star Comics #3, we're nearing completion on the book. Look for previews in the coming days.